GROW FASTER, HEALTHIER AND BETTER. If you are looking for the ultimate beautifying mineral combo then this is for you. Both of these products provide beneficial minerals that the body needs for all aspects of health. Mineral supplementation is very important considering most people are not getting enough from their diet, and many foods and beverages actually cause mineral deficiencies because they are highly acidifying and toxic. This combo kit is what you need to help your skin, hair, nails and bones grow healthy and strong. Sulfur Defense Plus is a tremendous electrolyte supplement as well so anyone looking for a pre or post workout supplement to keep your body nourished and energized will appreciate the results too! Vice President of 7 Lights Health Rachel Ciola has been putting these products to the test. She has lost over 30 pounds in 2018. She exercises 6-7 days a week. Seven years ago Rachel was in crisis with her hair. She had several bad hair dressers that damaged her hair and spent years trying to get back a vibrant, healthy head of hair. 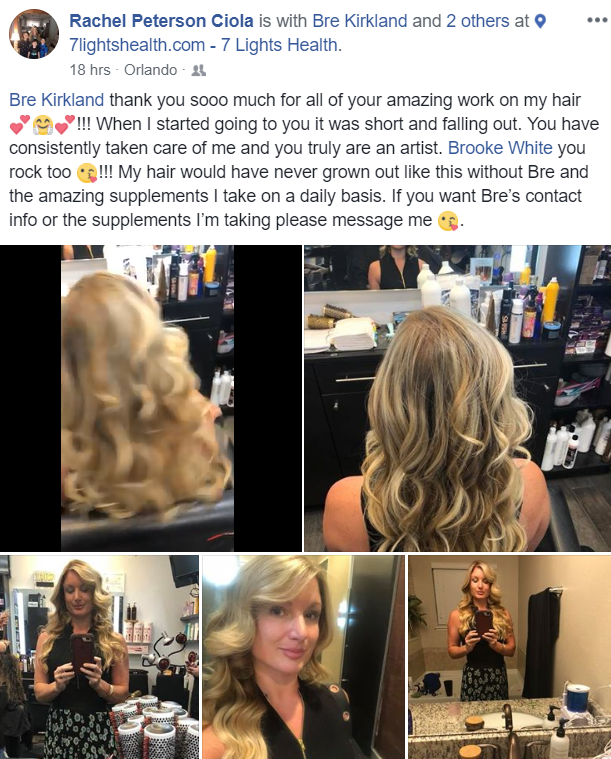 Not only does she notice great results using these products for working out, they have done wonders rebuilding healthy hair. Check out her Facebook post on June 6, 2018. SULFUR DEFENSE PLUS delivers a whopping 5 grams of pure MSM sulfur crystals and 1000 mgs of non-GMO buffered vitamin C per serving along with a potent electrolyte and essential nutrient blend. Taking Vitamin C with MSM makes it far more effective because sulfur is a catalyst that ushers nutrition into the cells making everything more bioavailable. 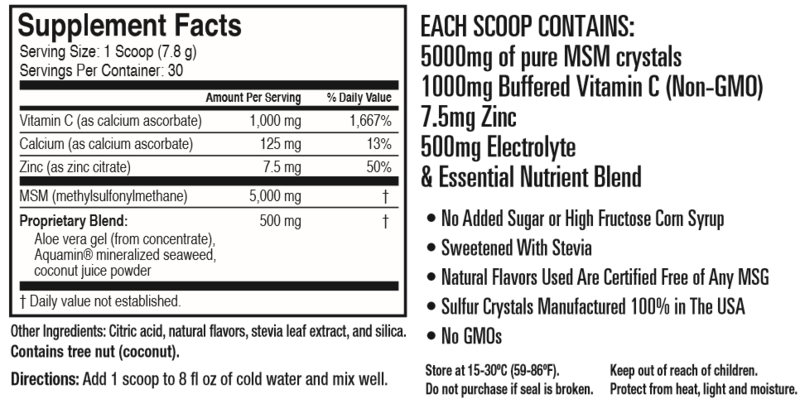 Not only do you obtain all of the amazing health benefits that MSM offers, you get all the antioxidant benefits of vitamin C. SULFUR DEFENSE PLUS is a delicious Lemon Drop flavored supplement that is needed daily for maximum cell protection and support.